The National Hospital in Colombo was saddled with the enormous problem of disposing the clinical waste that had accumulated over a period of time, creating a severe health hazard. It was found dumped in the hospital premises and then moved to another place, but the threat of people being exposed to infectious elements remained high. Health authorities made several moves to get rid of this dangerous waste, but to no avail. Now the Health Minister has sought Cabinet intervention to remove the waste safely to a location in Muthurajawela and destroy it according to accepted norms and procedures. According to Health Minister Dr. Rajitha Senaratne, land has already been obtained in Muthurajawela to dump clinical waste collected from the state hospitals located in the Western Province. The plot of land has been obtained by submitting a Cabinet paper and obtaining the approval of the Cabinet of Ministers. 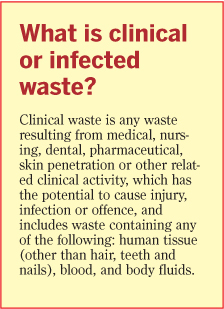 Clinical waste will be destroyed after preparing the land for the task. A private company used to collect the clinical waste and destroy it using a place inside the Mulleriyawa Base Hospital, but the process stopped after a court order prohibited it. This place had the approval of the Central Environmental Authority. The company collected the clinical waste and kept it in another place temporarily, gradually destroying the waste, using the system belonging to the Sri Jayewardenepura General Hospital, the Minister said. “This type of information should be communicated to the public very carefully because of its sensitivity. The media should act very carefully when handling such information. A nurses’ trade union belonging to a certain political party had given the information to the media without any understanding,” the Minister said. According to Acting Director General of Health Services Dr. Lakshman Gamlath, the clinical waste accumulated inside the National Hospital of Sri Lanka (NHSL) was completely removed by September 3. The National Hospital and two other state hospitals were affected by the issue. There was a public protest in the area used to destroy clinical waste and a court order prohibited the process in that area. As a result, clinical waste had accumulated at the NHSL. The process of destroying clinical waste in this area went on for five years, but the protest was staged all of a sudden, he said. The process went on with the approval of the Central Environmental Authority and all relevant institutions and followed all required standards, rules and regulations. The court order was revoked after the intervention of the Health Ministry and the management of the institution which handled the process, Dr. Gamlath said. It took some time to clear the backlog. This is why clinical waste had accumulated inside the NHSL, but the issue is completely solved now, he said. 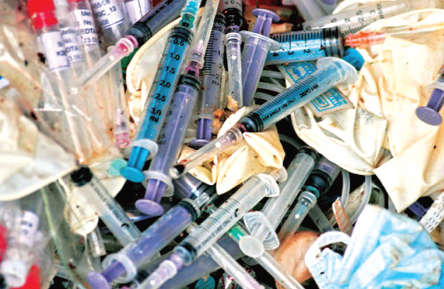 According to NHSL Deputy Director K. Wickramasinghe, the issue of accumulating clinical waste inside the NHSL has been resolved and the waste completely removed by September 3. Therefore there is no more clinical waste accumulation inside the NHSL. According to the World Health Organization (WHO), healthcare waste contains potentially harmful microorganisms that can infect patients, health workers and the public. Other potential hazards may include drug-resistant microorganisms which spread from health facilities into the environment. According to the WHO statistics, worldwide, an estimated 16 billion injections are administered every year. Not all needles and syringes are disposed of safely, creating a risk of injury and infection and opportunities for reuse. Injections with contaminated needles and syringes in low- and middle-income countries have reduced substantially in recent years, partly due to efforts to reduce reuse of injection devices. Despite this progress, in 2010, unsafe injections were still responsible for as many as 33,800 cases of HIV infection, 1.7 million of hepatitis B infection, and 315,000 of hepatitis C infection. A person who experiences one needle-stick injury from a needle used on an infected source patient has risks of 30 percent, 1.8 percent, and 0.3 percent respectively of becoming infected with HBV, HCV and HIV. 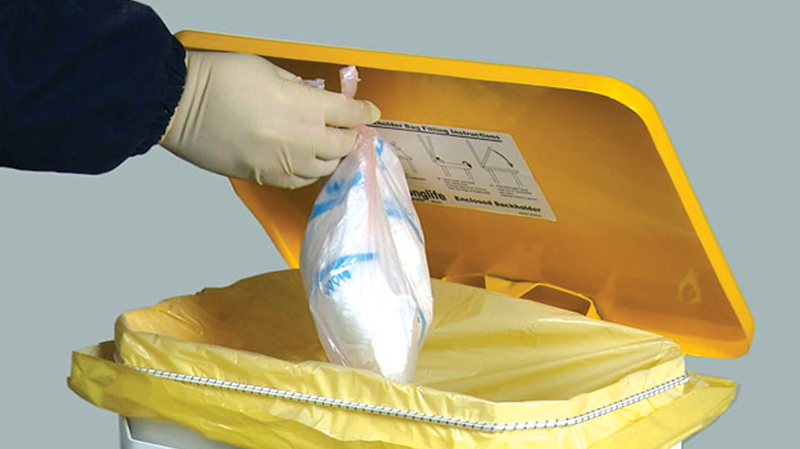 Additional hazards occur from scavenging at waste disposal sites and during the handling and manual sorting of hazardous waste from healthcare facilities. These practices are common in many regions of the world, especially in low- and middle-income countries. 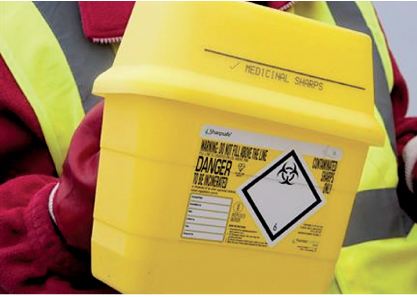 The waste handlers are at immediate risk of needle-stick injuries and exposure to toxic or infectious materials. In 2015, a joint WHO/UNICEF assessment found that just over half (58 percent) of sampled facilities from 24 countries had adequate systems in place for the safe disposal of healthcare waste.